Within the world of cyber-security, there are typically four challenges that organizations face when confronted with data breaches. However, most companies want to avoid these breaches in the first place and want to be better prepared to respond to threats. 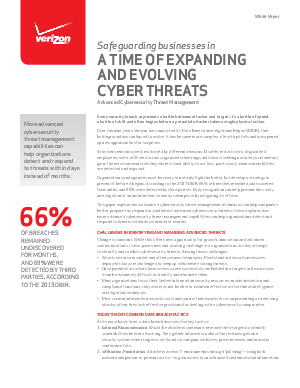 To learn the 7 advanced cyber-security threat management solutions in order to protect your organization download this whitepaper to safeguard your business.